The former president Luiz Inácio Lula da Silva's trial in the court of appeals, which takes place this Wednesday (24) in the Federal Regional Court of the Fourth Region (TRF4), in Porto Alegre (RS), is estimated to last six hours at least. Starting at 8:30am, jurists heard by Brasil de Fato says the session will be closed around 2:30pm. The three court of appeals judges will try the appeal presented by the former president's defense attorneys regarding the Guarujá Triplex Apartment Case, within the Operation Car Wash. The decision in first instance was declared in July, 2017 by the federal judge Sérgio Moro, convicting Lula for alleged crimes of passive corruption and money laundering. The lack of proofs that justify the sentence is one of the arguments presented by the jurists as they analyze the sentence. The trial at the court of appeals (TRF4) will be streamed on YouTube. This is the first time that the court broadcasts the trial of a defendant appealing the judge Sérgio Moro's sentence in the Operation Car Wash. The online site where people can watch the trial has not been disclosed yet. - The appeal trial is scheduled for the 24th of January, at 8:30am, in the Federal Regional Court of Appeals of the Fourth Region (TRF4), in Porto Alegre (RS). - Besides Lula's defense appeals, other lawsuits will be tried regarding the conviction of the contractor Leo Pinheiro; the former director of International Affairs at OAS, Agenor Franklin Magalhães Medeiros; and the former president of the Lula Institute, Paulo Okamotto. - As requested by the Federal Public Ministry (MPF), which contested judge Moro's decision, the TRF4 will also analyze the situation of three executives that were acquitted in the first instance: Paulo Roberto Valente Gordilho, Roberto Moreira Ferreira, and Fábio Hori Yonamine. - The appeals will be tried by three court of appeals judges from the 8th Group, specialized in penal law and in charge of most second instance decisions in the Operation Car Wash.
- The president of the 8th Group, the court of appeals judge Leandro Paulsen, will open the session. Subsequently, the rapporteur, court of appeals judge João Pedro Gebran Neto, will read his report on the lawsuit. - After reading the report, the Federal Public Ministry has 30 minutes to make their allegations in relation to the defendants' situations. Afterwards, it is the defense attorneys' turn, with 15 minutes for each case. - Towards the end of the defense oral explanations, the rapporteur presents his vote and gives the floor to both of the reviewers of the 8th Group: the court of appeals judges, Leandro Paulsen and Victor Luiz dos Santos Laus. - After the reviewers' votes, Paulsen will inform the session's result - it is estimated that that session be closed before 2pm. The result can be acquittal of the defendants, increasing or decreasing the sentence, or maintenance of the first instance decision. - If the defendant's conviction is confirmed by both judges, the sentence's execution by the TRF4 will only occur after the trial of all the possible appeals in second instance. - According to the Court, the possible appeals are motions for clarification, with request to clarify the decision, and motions for reconsideration, in case the vote is not unanimous. 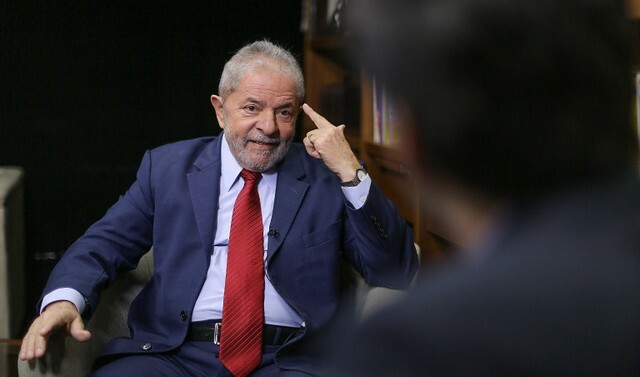 - Regardless of the Court's decision, there is a tendency for Lula to register his candidacy for the Presidential elections within the deadline, August, 15th. If the conviction is maintained in the court of appeals, it is likely that the opposition will try to contest his ticket based on the Clean Records Law (Lei da Ficha Limpa), from 2010 - which turns ineligible convicted citizens for crimes in second instance.